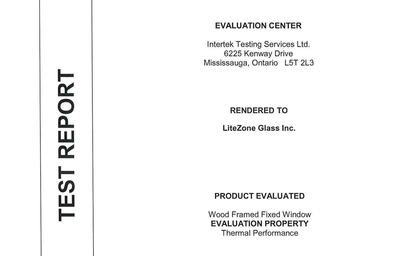 Performance values - LiteZone Glass Inc.
LiteZone™ achieves the highest window insulating values. 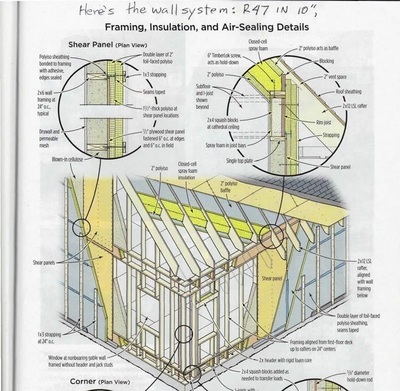 Chart 1 shows the maximum centre of glass insulating values and overall window insulating values that can be achieved for each LiteZone™ product group. 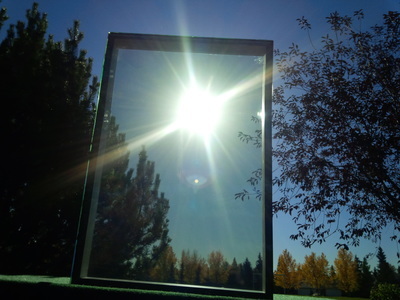 The highest performing product group is L1079 which can achieve R19.6 centre of glass and an R17.0 window. Table 1 provides the performance ranges of LiteZone™ product groups. Within each group many different LiteZone™ insulating glass units can be configured, each with varying performance values and costs. 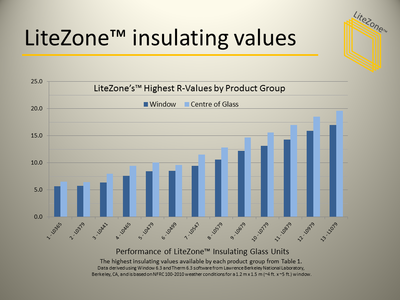 Tables 2.1 and 2.2 provides performance data for a selection of LiteZone™ insulating glass units.